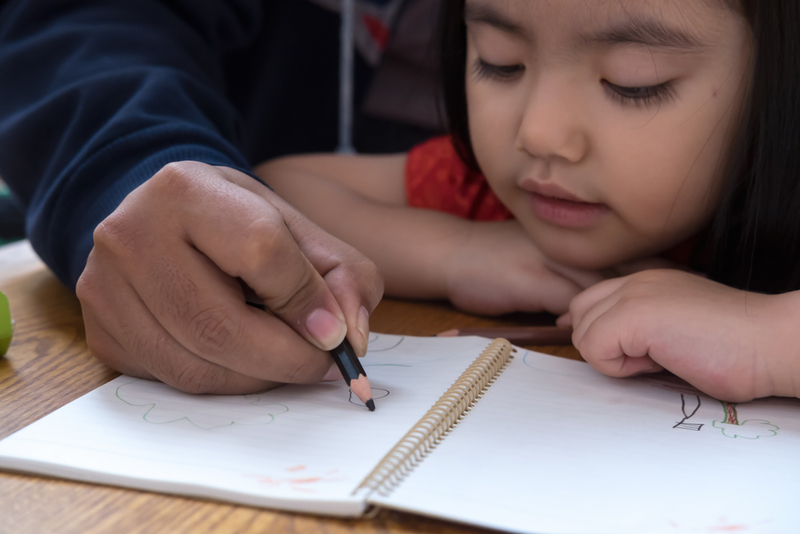 As evidence keeps piling up that early childhood learning is critical to the long-term development and success of kids, more foundations and philanthropists are looking for ways to give young children a boost before they start kindergarten. Some are focused on promoting pre-K programs, while others are working to equip parents to better foster early development. The Kenneth Rainin Foundation’s Talk, Read, Sing initiative fits that bill, as does the Clinton Foundation’s Too Small to Fail initiative. But the reality is that many of America's very youngest children, some 6 million infants and toddlers under age 3, spend their days in childcare. In the vast majority of cases, these children "are in low or mediocre quality care settings that can be detrimental to their development," according to the advocacy group ZERO TO THREE. A recent gift by Vanguard, the financial services company, is taking aim at this challenge. Through its Strong Start for Kids program, the company donated $3 million for work to empower childcare providers with the tools and knowledge they need to encourage early literacy among their wards. The money is going to the Free Library of Philadelphia for a three-year project to promote early literacy and language development among low-income children. The program’s targeting of childcare workers is intentional, said Christine Caputo, the youth services administrator for the library. Childcare is an area that often gets overlooked by funders, even those working on early childhood learning, despite the obvious potential for overlap. The Ms. Foundation for Women is one funder looking closely at what it would take to increase access to affordable, high-quality childcare, and how that could put struggling families on surer financial footing. Programs like the one at Free Library of Philadelphia are a step in the right direction, but are only one piece of the puzzle, said Aleyamma Mathew, the foundation’s director for women’s economic justice. Beyond the Ms. Foundation, childcare is starting to get more attention among a few other early childhood learning funders. The latest initiative from the Pritzker Children's Initiative includes funding for childcare. And not long ago, we reported that a group of foundations in Minnesota is working toward increasing access in the rural parts of the state where the scarcity of childcare facilities has reached crisis levels. This gift from Vanguard focuses more on the quality piece of the childcare equation than access or affordability. The grant will start with 12 childcare sites in low-income communities this year, and expand to 44 over the next three years. As part of the program, an early-childhood specialist will visit childcare sites to provide teachers with technical assistance and hold professional development workshops. At each childcare facility, the Free Library will curate book nooks, with age-appropriate books and educational toys, like puppets and story cubes, to prompt engagement and language-building skills. Each of the childcare providers will be matched with a library in their community where they can bring kids in for storytime. Each child will get a library card, with the hope that it will connect families to the other services the library offers. This initiative is another example of the expansive role that libraries can play in addressing a range of issues, a theme we've reported on often in the past year or two. Finding a trusted messenger within the community is something a lot of education advocates grapple with. Depending on the community, that person can be a pastor, a teacher, or even a trusted television program. The Spanish-language network Univision, for one, does a lot of work with educators trying to reach parents. Learning Heroes, a nonprofit working to engage parents, has partnered with the network, as has Too Small to Fail, the Clinton Foundation’s early learning initiative. This program is counting on community libraries to fill that role. Caputo believes they’re up to the task.